As one of its nodal points, this screening circulates around, or rather, emanates from the energy, theory and practice of the French philosopher Jean-François Lyotard (1924–1998). One of France's foremost theoreticians of the philosophy of art and aesthetics, Lyotard had a keen interest in cinema, and especially in experimental or underground film. This can be seen in a text such as «L’acinéma» , originally published 1978 in Cinéma : théorie, lecture, a special issue of Revue d'Esthétique, and subsequently translated into English as «Acinema»; a Swedish translation by Kim West was published in OEI # 69–70: On Film (2015). Going back to Lyotard should here be seen a constructive speculation, prompt with affirmative possibilities. Many of the concepts developed by Lyotard find its resonances in the work of cinema more broadly, but primarily in the less institutional grammar(s) of experimental film. We just have to think of «acinema» as Lyotard's speculation on «the relation between cinema and negation, filmmaking as the labor of negating movement». But in the same text Lyotard points to the inherent and excessive possibilities of cinema as the art of motion par excellence, something that is most clearly, profoundly and interestingly elaborated upon in experimental cinema. His discussions of the «figural», cinema and its relation to pyrotechnics, his ruminations on jouissance and the notion of libidinal economy are valid, interesting and productive to set in relation to a formally advanced and experimental work with moving images. All of the filmmakers included in this program were friends and collaborators of Lyotard. Together with Guy Fihman and Claudine Eizykman he collaborated on L'Autre Scène (1969–72). Fihman and Eizykman were instrumental in setting up the Cinédoc and Paris Films Coop in the early 70's. Lyotard wrote extensively on the painter Jacques Monory, who also made the films Ex (1968) and Brighton Belle (1974). 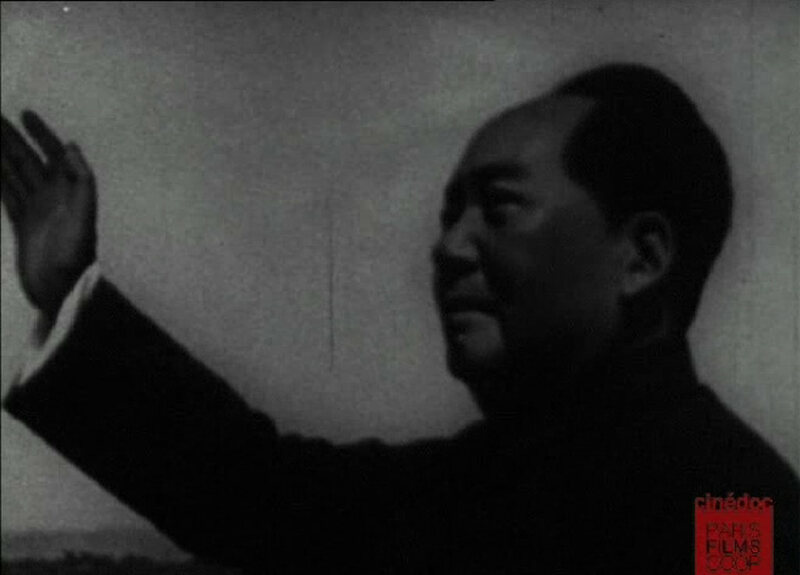 Lyotard made a few films himself, such as Mao Gillette (1974), which will be shown in the program. All films projected on 16mm. Prints from Cinédoc Paris Films Coop. Thanks to Isis Marina Graham and Fylkingen. This screening coincides with a presentation of the work of Claudine Eizykman at Cinemateket, Stockholm, 18th March, 6 pm. Organized with support from Kulturrådet.